I randomly found your blog and noticed that you went to a lot of places in Northern California. 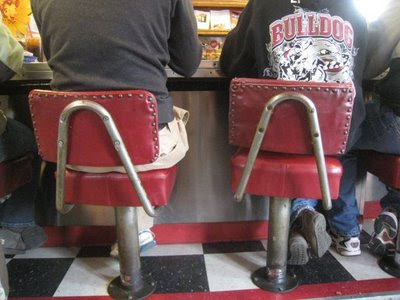 You did not however make it to Mount Shasta where there dwells a very awesome burger. 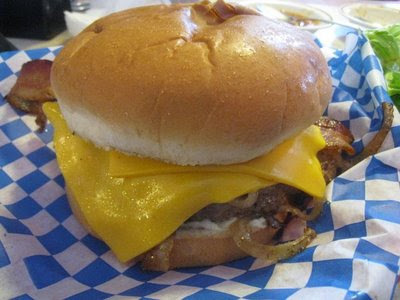 It is located at Michael's Restaurant and is called the Rancho Burger. If you are ever in the area, you should definitely check it out. I will. 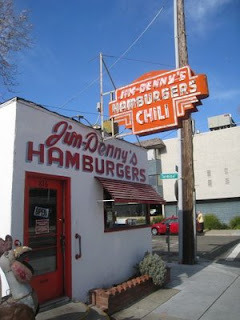 I love the Shasta area and am glad to hear of a burger to check out.